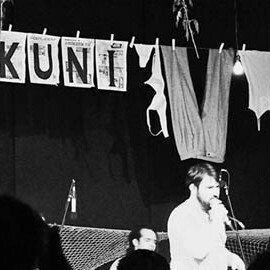 Brikkuni are a Maltese band, dedicated to songwriting and performing their own blend of music in the Maltese language. “Brikkuni is Maltese music that eschews the usual vulgar trappings, providing words and music we can honestly relate to.. Which may sound rather ironic since we are regarded as vulgar in certain quarters. Given what we felt was a serious lack on the scene, the choice of language felt like the most obvious thing in the world. If anything we ended up asking ourselves why it took us so long to embrace the mother tongue,” Mario Vella, front man of Brikkuni says with a sardonic smile.